Choose products as usual and add to cart. You will be paying the full amount (subtotal + shipping) via Bitcoin, Bitcoin Cash, LiteCoin, or Ethereum. (Transaction fees are much smaller with Bitcoin Cash, LiteCoin, or Ethereum). Enter the two codes below to apply discounts for free shipping and 100% off your order respectively. After entering the codes, you are able to bypass entering in any credit card information. Click continue without entering in payment information. The total will show up as 'Discount Savings' on the invoice. 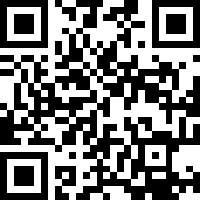 Use the scan codes below to send the full payment to Evolved Alchemy via your choice of crypto-currency. Once you have sent the correct payment, fill out the form below with your preferred coin, wallet address and order number. If you are a member, please state your membership code and send half of the subtotal + shipping. Upon receiving payment and the form below, we will ship your order as normal. You will receive an email notification upon shipping meaning that payment has been received and your order has been fulfilled. If you are a member, please enter your wholesale discount code. Your order is being processed. You will receive a shipping notification when your order is shipped.